Thanks to a tweet by el Colectivo Decantado recently I was lead to a review of this by the guys at http://www.enoarquia.com and when I went to check it against my own post was shocked to find I hadn’t done one. Been a priority since then to make good this omission. It is a beautiful crystal clear mahogany brown – not really a great picture above (poor background, poor focus) but there are red and orange hues in this that really stand out in the light. The nose is big and imposing – concentrated, some alcohol but aromas of toasted nuts and burnt toffee. 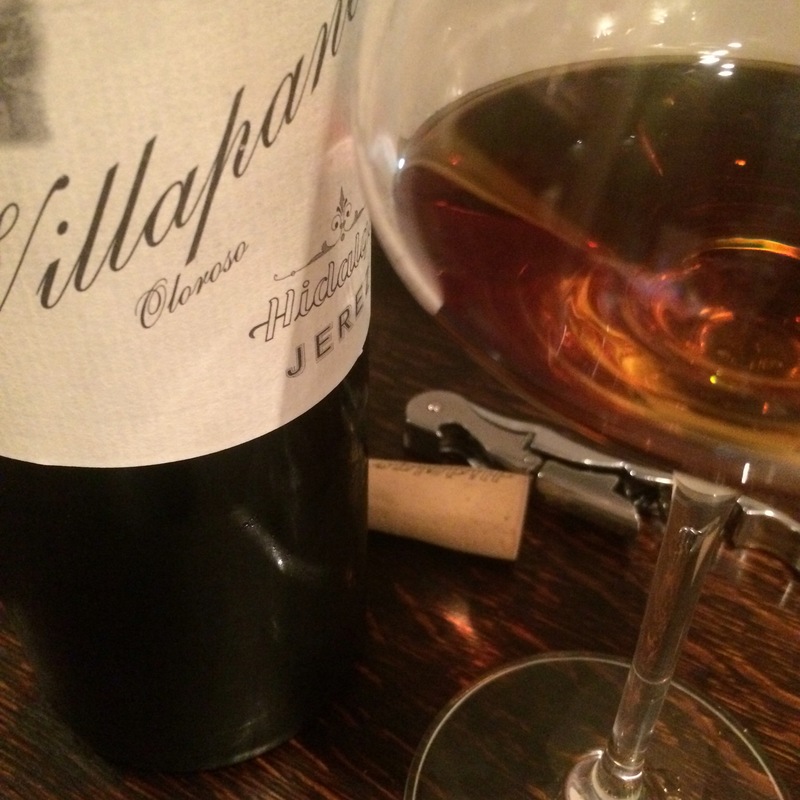 (Compared to some younger olorosos the absence of overripe fruit is noticeable – in fact I find there is a real nutty, savoury quality to these Emilio Hidalgo wines in general). It is acidic and concentrated on the palate and really follows through on the nose. It is actually a gentle, elegant beginning but then the acidity takes over in a big big wave of intense toasted nut and burnt caramel. Then a long, long finish, in which the burnt and toasted flavours come through even more. That burnt, toasted character gives it almost a mineral finish in fact. A class wine. I cannot believe this is my first bottle since Easter.